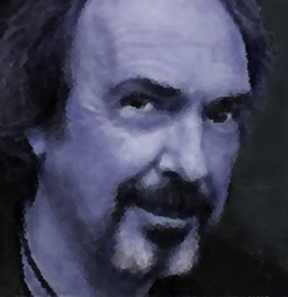 Robert Payne Cabeen is a screenwriter, artist and purveyor of narrative horror poetry. His 1994 illustrated horror book, Tainted Treats, also included some of his short fiction. His screenwriting credits include: Heavy Metal 2000, for Columbia TriStar, A Monkey's Tale and Walking with Buddha. He also works as a script doctor and is currently editing and designing Storyboards: the Unseen art of Hollywood--a comprehensive history of movie storyboards and the artists who create them. The book represents many years of passionate research by Trevor Goring & Joyce Kaskey--due out in 2014, from Hermes Press. As creative director for Streamline Pictures, Robert helped, anime pioneer, Carl Macek bring Japanese animated features, like Akira, Robot Carnival, Lupin and dozens of other classics to the western market. Cabeen received a Master of Fine Arts degree from Otis Art Institute, with a dual major in painting and design. Since then, he has combined his interests in the visual arts with screenwriting and story editing for a broad range of entertainment companies including: Warner Brothers, Columbia/TriStar, Disney, Sony, Universal, USA Network, Nelvana and SEGA. While still in art school, Robert was the designer on the stage production of Ray Bradbury's Leviathan 99. Working closely with his friend and mentor, Joe Mugnaini and FX wizard Douglas Trumbull, they transformed Sound Stage Nine, on the Samuel Goldwyn lot, into a cavernous multi-media theater. Cabeen's fondest memory of that period was giving Ray Bradbury, who didn't drive, a ride after production meetings and rehearsals. Quality alone time, in a 1967 Plymouth Barracuda, with a storyteller for the ages--priceless. Robert is a city of Lost Angels native. He resides in the Miracle Mile with his wife Cecile Grimm. Together, they spawned three offspring--all smarter, better looking and more talented than he is--but maybe not quite as scary.